International shipments of this item may incur additional charges. 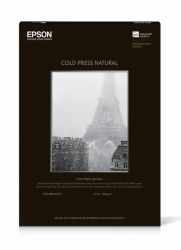 Epson Cold Press Natural is an acid free, 100% cotton rag paper with a natural textured matte finish. This paper has an extremely-high color gamut and black density and has been optimized for the Epson UltraChrome Ink family. 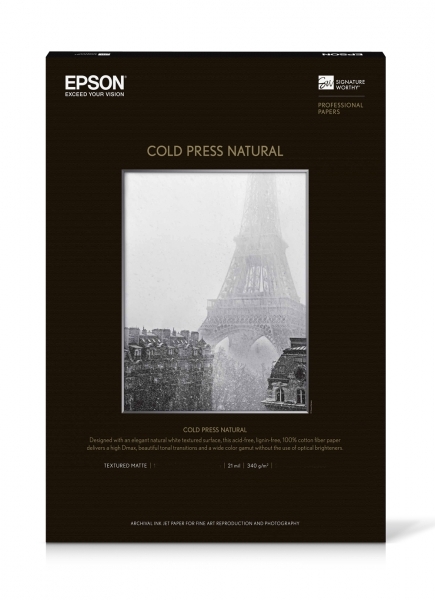 Signature Worthy papers have been developed and tested at the highest levels to work in concert with Epson’s industry-leading professional printers and inks. The most demanding creative professionals use Signature Worthy papers because their reputations are on the line with every print.